It’s Valentine’s Day today and if you’ve forgotten to get your loved one a gift and are within the vicinity of a Miller Harris store, I may have just saved your bacon – you can thank me later! This year, MH are encouraging us to ditch the idea of a dinner out, or a cinema date, or even a romantic stroll in the park, no, they want us to stay in bed and you know, do the stuff you do in bed (you know, crocheting, sleeping, antiquing etc.). To aid you in your romantic antics, Miller Harris have created a beautifully fragrant and niftily customisable scented candle featuring one of their most stunning scents: Rose Silence. Rose Silence, the fragrance, is a dewy shrub full of pastel pink roses. It’s fizzy and sweet with a dollop of blackcurrant compote and a soft breeze of musk. Rose Silence is the perfect scent for someone who just wants to smell of rose – it’s a watercolour impression of something so natural, yet somehow it presents itself as more vivid and perfect than the real thing. In candle form, Rose Silence takes on a new form, sending forth soft plumes of musky, patchouli-tinged rose that compliments a room rather than dominates it. I certainly wouldn’t want to get out of bed if I woke up to a cloud of this. 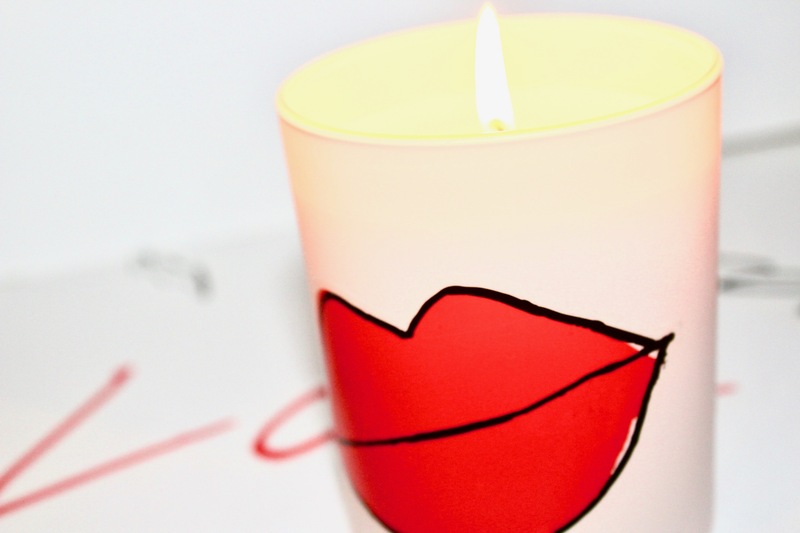 The best thing about the candle is the fact that it is customisable! That’s right, not only do you get the candle, you also get a set of beautifully illustrated stickers drawn by illustrator and author Laura Quick. These stickers sit perfectly on the candles’ frosted pink glass and they give the whole thing a quirky little touch. Honestly, I’m surprised nobody has thought of this before. 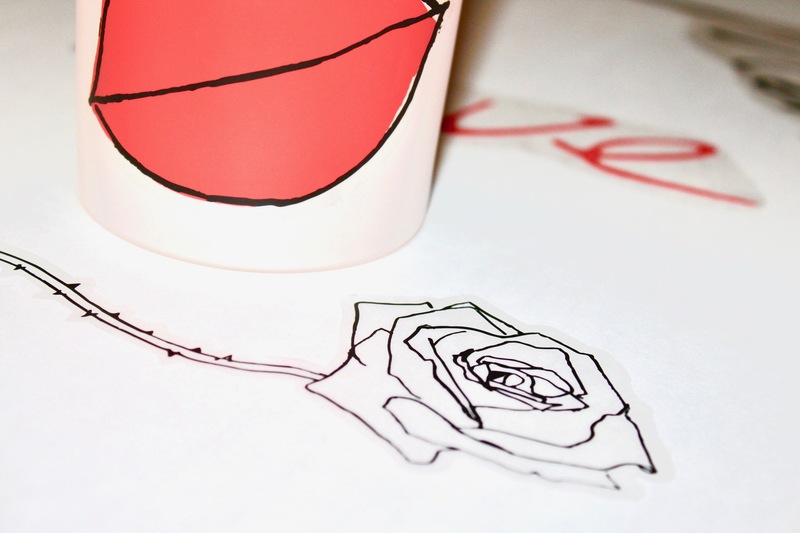 I stuck the lips on mine, along with the word ‘kiss’, but there’s a whole set of stickers, including eyes, a thorny rose and lightning bolt to choose from. So if you have forgotten Valentine’s Day and you are in the vicinity of a Miller Harris, what the heck are you waiting for?! I can only help you help yourself here! The Rose Silence Candle would make the perfect gift, and if not a gift, it would be the perfect thing to burn whilst you cuddle up to your significant other, or herd of cats, or both. The only problem? 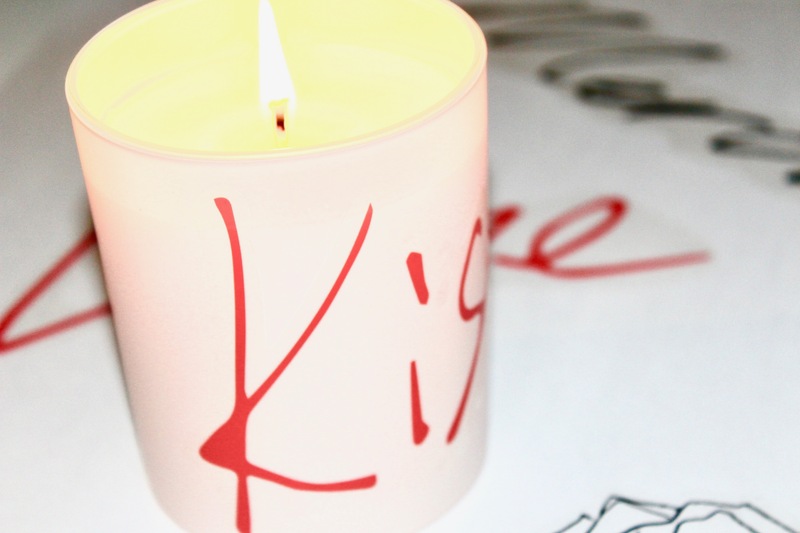 I now want customisable stickers on EVERY damn candle I ever own! The Miller Harris Rose Silence Scented Candle is available for £45/185g. Sample and info via Miller Harris. Images are my own. Posted in Miller Harris, Scented Candle and tagged Candle, Fragrance, Miller Harris, Perfume, Review, Rose, Rose Silence, Roses, Scented Candle, Valentine's Day. Bookmark the permalink.